prioritizing and highlighting issues that need addressing. Background documents for meetings are prepared in time. Assist in managing the flow of information to the supervisor, in identifying priority matters that need to be urgently addressed by the supervisor and in proposing actions; analyze supporting documentation and summarize most relevant points for the supervisor; contribute to ensuring that appropriate action is taken by responsible Section Heads on matters brought to the attention of the supervisor. Assist in following-up on policies and instructions presented by the supervisor. Keep the supervisor aware of developments in UNHCR's major world-wide operations and of policy issues related directly to UNHCR or to humanitarian issues under the broader UN system. Assist the supervisor in the preparation of statements that represent UNHCR's overall policies and which highlight specific areas of concern. Propose and draft substantive correspondence for the supervisor. Confer with Section Heads to secure timely and authoritative information relevant to matters requiring action, decisions or the signature of the supervisor. the subject matters to be discussed. discussions, ensure follow-up in matters raised, and support the supervisor with any relevant input. within the context of the broader United Nations system. information as necessary, and that protocol is respected. Prioritise tasks and organize work independently. Select and make pertinent abstracts and search for information. Have access to sensitive and confidential information. Undergraduate degree (equivalent of a BA/BS) in Political Science, International Relations, Law or other related fields plus minimum 3 years of previous work experience relevant to the function. Graduate degree (equivalent of a Master's) plus 2 years or Doctorate degree (equivalent of a PhD) plus 1 year of previous relevant work experience may also be accepted. Proven drafting and editing skills. A proven ability to act with discretion and diplomacy is essential for this function. 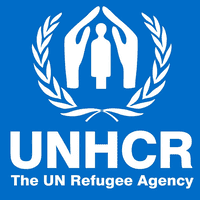 Good knowledge and experience of UNHCR operations. Working knowledge of French (both written and spoken).